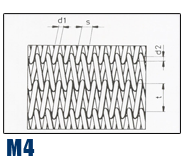 Stainless steel Wire Belting by Magnetism. 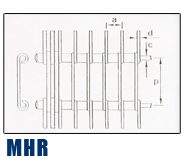 We have been the leading stainless steel wire belting manufacturer for over a century. 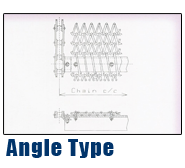 Our stainless steel wire belting and chain driven conveyor belts are used worldwide in industries such as heat treating, forging, foundry, food processing, snack food, ceramics, glass, automotive and more.Our product line includes conveyor belts which will fit almost any application; including tight stainless steel wire belting for flexibility and conveying small parts, special smooth surface belts for easy accurate transfer, stainless steel wire beltings with large openings for easy flow of air or water and for simplified cleaning of your product. 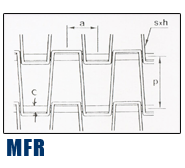 Our conveyor belts are used to convey metal parts through copper and aluminum brazing furnaces, bronze and iron parts through sintering furnaces, textiles and chemicals through oven dryers as well as applications that involve washing, annealing, quenching and polishing. In the food processing industry our conveyor belts are used to clean dry, bake, cook, freeze, salt, can and more. 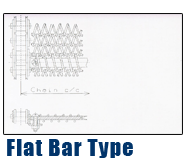 Our stainless steel wire belting is available in any size, in patterns for any process, and in stainless steels. 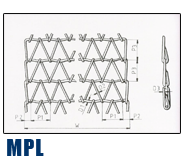 Our wire belts and Chain Belts can carry light to heavy loads and will run straight without guidance. 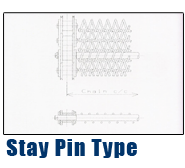 They can operate at low to high temperatures, withstand acid, alkaline, chemical corrosion, abrasion and impact. Stainless steel wire mesh is wear-proof, heat-resisting, acid-resisting and corrosion resisting. 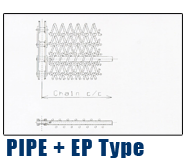 Just because of these characteristics, the wire mesh made of stainless steel is extensively used as slurry mesh in petroleum industplatingry, sieve and filtration mesh in chemical industry, acid-cleaning mesh in electric industry, etc. Our Stainless Steel Wire Mesh products are generally made of stainless steel of Type 304, Type 304L, Type 316 and Type 316L. This type is most commonly used. 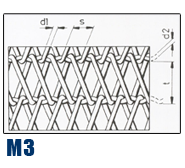 East warp wire passes alternately over and under weft wires at right angles, and vice versa. Openings are square and wire sizes are the same in warp and weft. 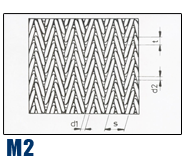 Twill Weave Stainless Steel Wire Mesh: This type is similar to plain, except that weft wire passes alternatively over and under two warp wires (instead of one) in a staggered fashion. Very fine meshes can be woven more readily in twilled weave than in plain. 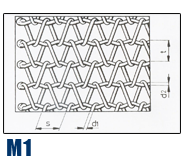 Dutch Weave Stainless Steel Wire Mesh: This type is a filter cloth construction made in the same way as plain weave, except that the weft wires are "driven up" to give a tighter woven cloth with minute openings. Copyright ï¿½ 2005 Magnetism Industries Sdn. Bhd. All Rights Reserved.